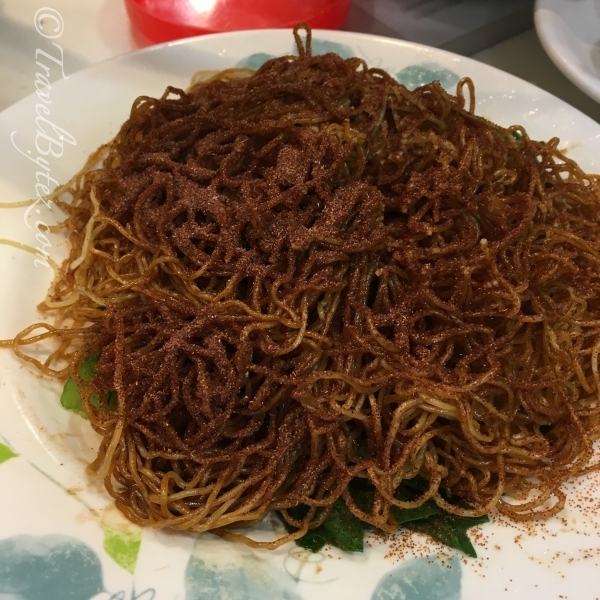 Home / Chinese Food / Food / Hong Kong / Hong Kong Food / Hong Kong Trip 2017 / Hong Kong Trip 2017 Day 3 / Lau Sum Kee 劉森記麺家 (Hong Kong): Dried Shrimp Roe Noodles and Wantons! Lau Sum Kee 劉森記麺家 (Hong Kong): Dried Shrimp Roe Noodles and Wantons! 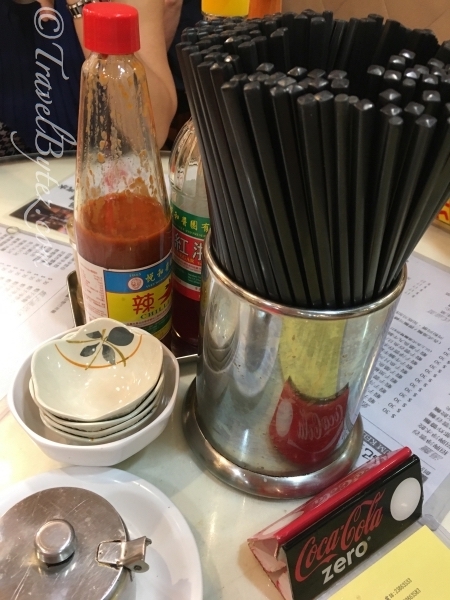 C's friend is a local so she brought us to Lau Sum Kee Noodles (劉森記麺) for their dried shrimp roe noodles, which are handmade and bamboo pressed. 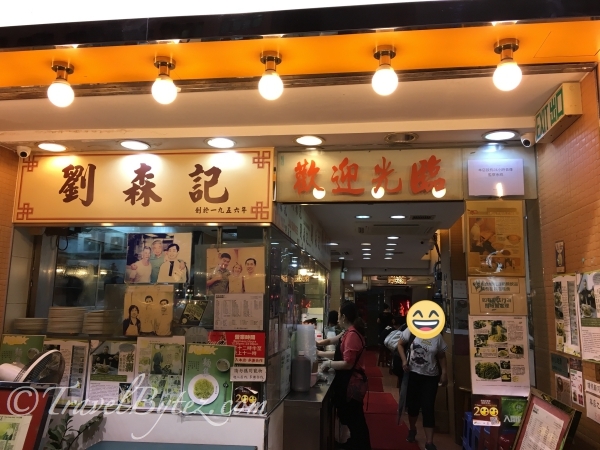 The restaurant is located in Sham Shui Po and it has a branch: the main stall is on Kweilin Street while the branch is along Fuk Wing Street. We went to the branch at Fuk Wing Street. 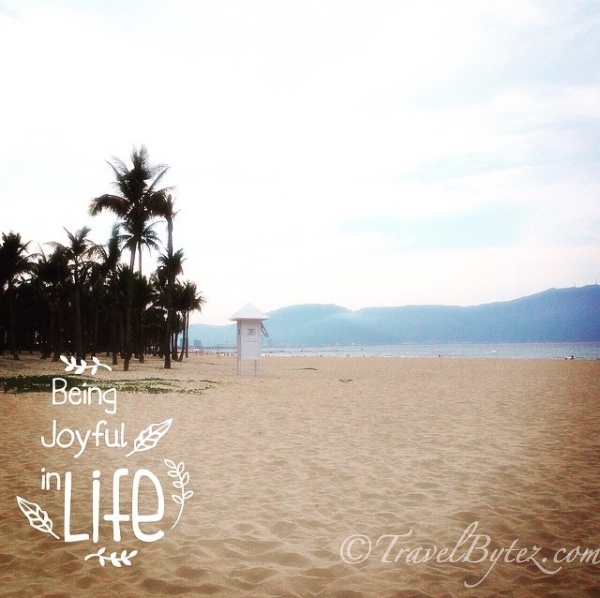 When we arrived, it was not that crowded and we managed to find a table almost instantly. As with most eateries in Hong Kong, the area is a little tight but still manageable. There were 5 of us, so we managed to get a table all to ourselves, otherwise we might have had to share it with other hungry customers. Once seated, the experts at Cantonese started ordering away while I sat there quite clueless with what was actually being ordered. 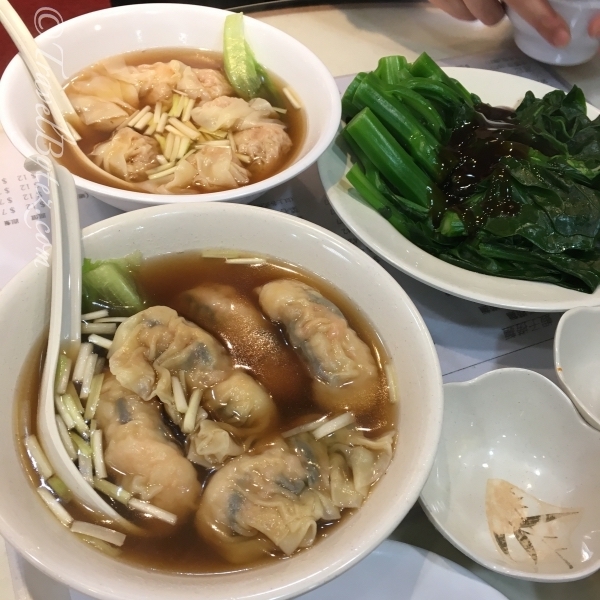 😅 Well, I soon knew what we ordered: the dried shrimp roe noodles (蝦子撈麵, wantons in soup and two types of poached vegetables (as C says it... have to have that fiber! 😂). Note: As Sham Shui Po is essentially a non-tourist location, mostly locals patronize the area so it pays to be able to speak some Cantonese or know someone who does. 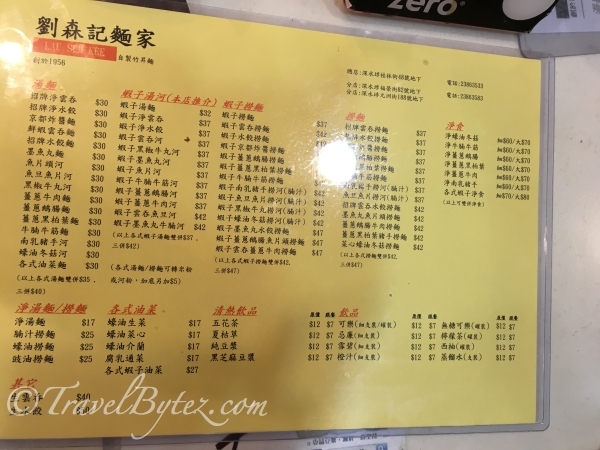 While menu at Lau Sum Kee is extensive, you would have to understand traditional Chinese characters. 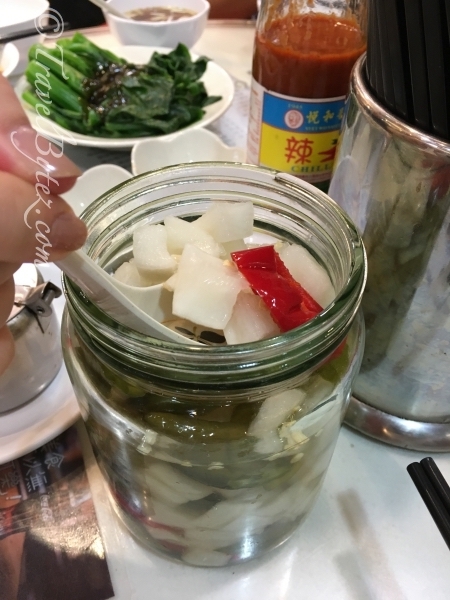 While waiting for the food to arrive, there was some home made pickled radish which looked quite appetizing... and it was! The crunchy yet slightly spicily, tangy and savory flavor certainly whetted our appetite and made us prepare our stomachs for the oncoming onslaught of food. It also helped to refresh the taste buds when the food arrived, so we ate quite a bit. Every table has a large glass bottle of this. Plain dried shrimp roe noodles. It was quite a sight to behold and surprisingly palatable. We had the plain dried shrimp roe noodles and it was amazingly springy. Coupled with the dried shrimp roe, it not only enhanced the flavor but also made it a little bit crunchy. Although I found the noodles a tad too dry the more I ate, that was easily resolved by taking a sip of the wanton soup and a bite of the yummilicious wanton! The amazing wantons swimming in a yummy broth that complimented the noodles. Out of all the wantons we had on this trip, the wantons here were one of the yummiest. The wanton skin was as smooth as silk, and when you bite into one your mouth is greeted by the fresh and crunchy shrimps bursting making their announcement as you start to chew. 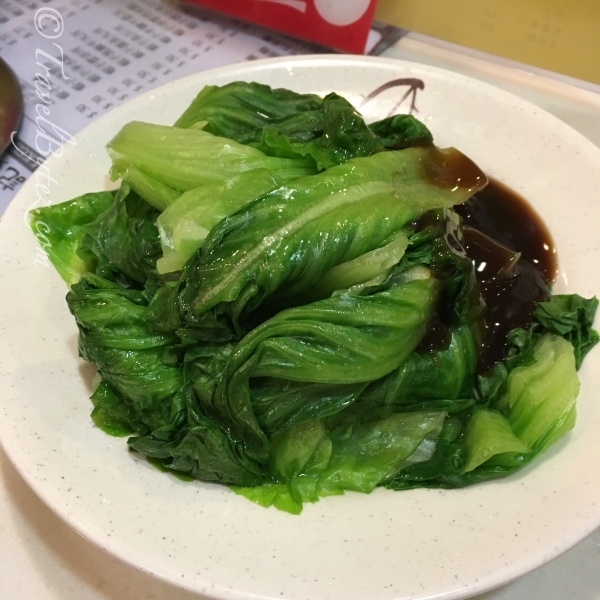 We also ordered poached lettuce and kai lan drizzled with oyster sauce, and it was quite a simply indulgence. I do not know how they do it but the poached vegetables in Hong Kong (at least the ones we had) were never over cooked and blanched just right: making it easy to bite into yet crunchy at the same time.